Ozzie and Dino are 2 fabulous boys. While they are very different in character, they are best buddies. I really enjoyed watching their personalities come alive on the page along with their images. 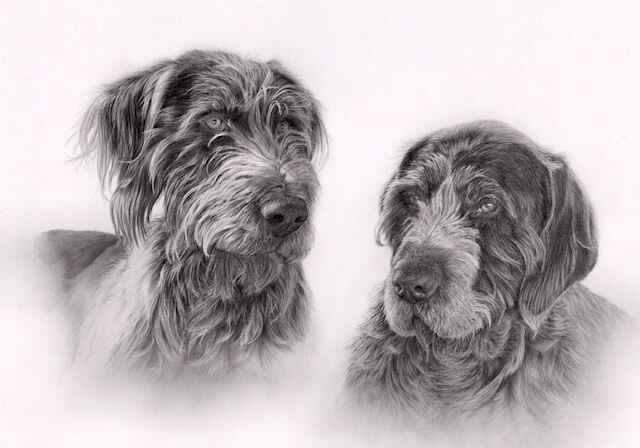 This drawing was a Christmas gift to the owner of the dogs from mom and daughter. I was delighted to hear that it was loved very much.